Yemeni army forces carried out heavy clashes with the Saudi-led coalition, backed by the US, after the Health Minsitry announced the toll of Yemeni childern victims. The official spokesman the Yemeni army forces Yahya Sarei on Friday announced that launched large-scale attacks on sites of paid fighters loyal to coalition in the east part Jabal al-Nar in front of Jizan, securing 20 sites. He confirmed that dozens of the paid fighters were killed and injured in the attacks, which took place in front of Hardh district of Jizan sector and several pieces of equipment in the coalition’s ranks were destroyed. Almasirah TV revealed the statistics for the Anti-Armor Unit of the Yemeni army forces operations for the month of January. 91 operations targeted gatherings and machinery of the coalition’s paid fighters. The Anti-Armor Unit targeted 56 gatherings of the coalition’s paid fighters in different frontlines, killing and injuring a number of them. The Anti-Armor Unit destroyed 8 tanks, 10 armored vehicles, 4 military bulldozers and 13 different machinery in several frontlines. Colonel Ahmed Abu Hadi, commander of the First Division of the pro-Hadi Special Forces Brigade, was killed along with dozens of Hadi loyalists on Thursday as Yemeni army forces launched a surprise attack east of Harad district in Hajjah province. 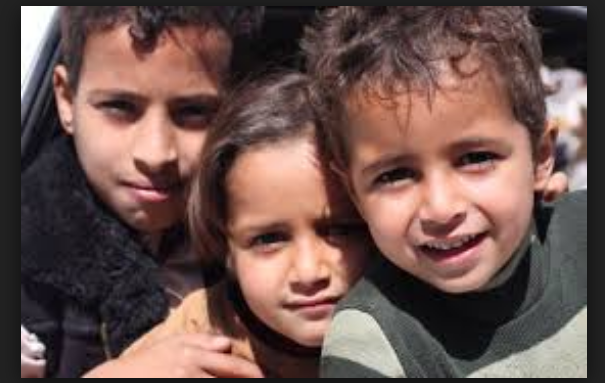 Yemeni Health Minister Taha al-Mutawakil, for its part, said in a press conference on Thursday evening that the coalition airstrikes have been killing over 3,000 children and wounding 263 others, including 615 disabled since 2015. While, the head of the Supreme Revolutionary Committee, Mohamed Ali al-Houthi, on Friday called on the United Nations and international organizations to save the lives of the conjoined twins, considering this as the core of their humanitarian and relief duty,and helding the United Nations and the organizations responsible in case they do not help the conjoined twins and the U.S. and the Saudi-led coalition responsible for the air embargo and blockade. Local residents of Al Duhi district in Hodeidah province, western Yemen have staged on Friday a tribal rally to back the Yemeni army in defending the homeland against the coalition and its paid fighters,whereas the participants delivered many speeches expressing the readiness for any military escalation by the coalition, affirming to continue in support the fronts with men and money till victory is gained,and praising the great sacrifices made by the army in defending the homeland and its sovereignty. Assassinations, security disorder and torture operation have been ramping in Aden since United Arab Emirates forces took over the city. Fierce clashes broke out on Friday between the coalition rival paid fighters in Aden province, southern Yemen,under the control of UAE, whereas the clashes broke out the central city of al-Mansoura. The confrontations are believed to be between armed elements loyal to Alalmihdar backed by the exiled Hadi and the gunmen of Abdul Ghani Alsubahi, backed by the UAE forces. The clashes came a few days after clashes erupted between the so-called “Alalmihdar brigade’s troops” and gunmen loyal to Alsubahi which caused injuries of both sides. Dozens of Yemeni detainees families on Thursday rallied to protest against interior minister of Saudi-backed exiled Hadi’s government Nasser al-Akhsha Lakhma, in the same city, demanding to release their sons in the secret prisons run by UAE occupation forces in Aden.During the rally,theycondemned the war crimes and violations against the detainees in the jails run by the United Arab Emirates (UAE), and raised the banners and slogans and pictures showing torture again the detainees by UAE-backed paid fighters.